It’s a blank canvas for bold self-expression. A place to share a part of your personality with the online world. It’s such a part of our everyday lives, I probably don’t even need to clarify that I’m writing, of course, about our Facebook covers. 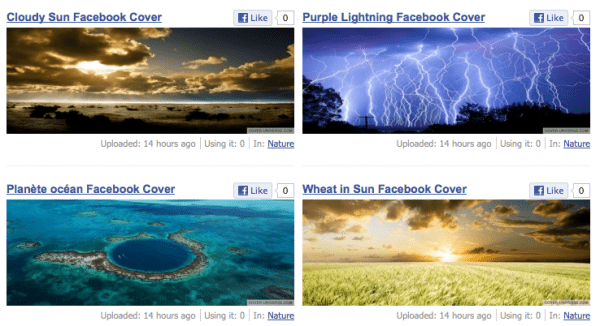 And now there’s a way to dress up your page with whatever covers suit your mood or style – Facebook covers from Cover Universe. 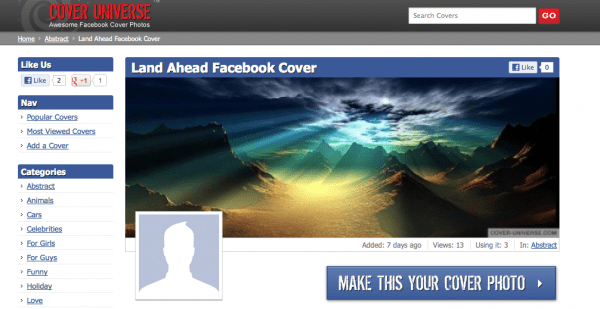 Cover Universe is a website that offers an online catalog of Facebook covers. If you like to change up covers the way others adopt clothing fashion trends, you’re in need of a backdrop that defines you, or you’re just bored with the cover you’ve had up since the timeline was introduced, Cover Universe has thousands of covers you can choose to use on your Facebook page. Naturally, there’s a touch of social networking discretely in the background. By viewing and selecting covers on Cover Universe, visitors essentially vote on covers. There’s also a link to add covers, which is a great way to introduce yourself to the community. If you’re a cover designer, this is an easy and free place to build an audience. What’s more, if you “like” the Cover Universe page and add the site to your Facebook account, you can stay on top of all the newest and coolest covers out there. Currently, in “popular covers,” you can splatter your Facebook page with Blue Man Group style paint or relive glorious sporting moments, like MJ draining a title-winning shot. In “most viewed covers,” there’s peace, love, music, attitude, color, gorgeous photos – a little bit of something for everyone. And what would a selection of Facebook covers be without animals? Other than cats. Of course, you’ll find those entertaining fur balls too – and more felines, including tigers and cheetahs – but there are polar bears and much more. 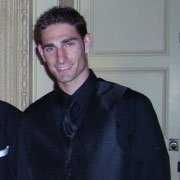 Cover Universe is the creation of Tyler Horvath, a 26-year-old entrepreneur from Overland Park, Kansas. A serial internet entrepreneur with a love for creating websites and starting businesses, he put together his first website when he was just 17-years-old. It was an e-commerce site for aftermarket car parts. Since then, he’s built and sold over 30 successful websites. For more information, find Horvath on LinkedIn.